Exploring the life of Joseph, these 8 studies open up how God builds character in adversity and learning to trust in him. Lifebuilder Bible Study: Joseph by Paul Borthwick was published by IVP in July 2004 and is our 1594th best seller. The ISBN for Lifebuilder Bible Study: Joseph is 9781844270934. Be the first to review Lifebuilder Bible Study: Joseph! Got a question? No problem! Just click here to ask us about Lifebuilder Bible Study: Joseph. I can't quite see on book cover how many studies are involved. Can you tell me please? 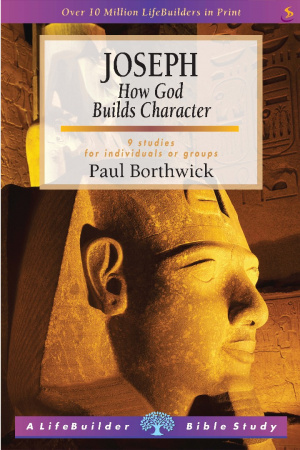 A:The Lifebuilder Bible Study: Joseph contains 9 studies.